For latest updates about Tirumala Tirupathi Devastanam Recruitment 2018, you can check this post more accurate information. S.V. Institute of Higher Vedic Studies has recently announced 150 vacancies for Veda pandits on behalf of State Government of Andhra Pradesh. So, Candidates who are interested in working with Tirumala Tirupati Devastanam can apply for these jobs, as the applications are invited for these vacancies to fill up immediately. Interested people who are interested in Andhra Pradesh Govt jobs can apply for these Veda pandits jobs before the last date and in this post, we also updated other information like the last date to apply, Start Date, Salary, Educational Qualification and number posts.Tirumala Tirupati Devasthanam selection board will select candidates depends upon their performance in interview for Veda Panditsvacancies under Vedaparayana Scheme. Tirumala Tirupati Devasthanams is also known as TTD. It is the famous Hindus temple located in Tirumala,of Andhra Pradesh State. 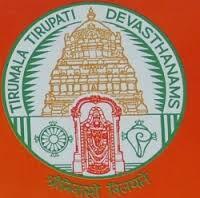 The Tirumala Tirupathi Devastanam was formed in the year 1932 under the TTD Act of 1932. Tirumala Tirupathi Devastanam is the second richest and the most visited religious holy place in the world. The board also engaged in various social, religious, literary and educational activities. Approximately, there are 16,000 employees are working. Lord Venkateswara is placed in Tirumala. At the moment, the S.V.Institute of Higher Vedic Studies, Tirumala Tirupathi Devastanam has invited the offline mode of submissions as “Veda pandits” under Vedaparayana Scheme. For that purpose, it has published the TTD Veda pandits Recruitment 2018 against the Roc.No.PO1/46/SVIHVS/2003. The committee members are going to recruit the suitable applicants of 150 Tirumala Tirupathi DevastanamVedapandits 150 Vacancies. The officers have started accepting the offline mode of submissions for these vacancies. Must have Kramanta in Rig Veda / Krishna yajur Veda / Sukhla yajur Veda, Rahasyntham in Sama Veda, Samhitha in Atharvana Vedam. The certificates issued either by the recognized Mutt approved by the Endowment Department (or) T.T.Devasthanams. Must be above 18 years age & with traditional dress code and outlook. Candidates attending for this vacancy has to be minimum age 18 years and maximum age will be considered as per the TTD Recruitment 201 Notification. Candidates who have applied for TTD Recruitment 2018 will be shortlisted for Veda Pandit posts based on their performance in Interview and scored marks. Applicants are requested to download application link. Fill required details in the application without any mistakes. Paste latest pass-photo & sign below the paper. The duly filled application has to send given the address. The application has to reach respective address on or before the last date.